INDIANAPOLIS, March 22, 2013 -- Global Water Technologies (OTC Pink: GWTR) notes the growing attention that is focused on providing adequate drinking water and infrastructure, both in developing countries and here in the United States. World Water Day is held annually on March 22 after being recommended by The United Nations Conference on Environment and Development and starting in 1993. This year's theme is Water Cooperation, emphasizing that water issues cross many boundaries and use of water impacts a wide range of groups, from individual families to agriculture and industry. A lack of safe drinking water is an issue for nearly 1 billion people and with world population estimated to grow from 7 billion to 8 billion in the next 15 years, the value of fresh, clean water is growing quickly. Cooperation among governments, business leaders and the water industry is seen as key to addressing the problem. Fortunately, that issue is also starting to get attention. 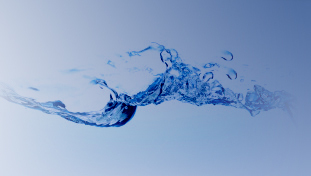 A U.S. Senate committee this week passed legislation that would create a Water Infrastructure Finance and Innovation Authority (WIFIA) as part of the Water Resources Development Act of 2013. The legislation is getting bipartisan support and expected to reach the Senate floor by May. If enacted, WIFIA would make low-interest federal loans available to address large water infrastructure projects in communities across the United States. We also need cooperation among leaders at the local, state and federal levels to ensure that we protect our drinking water system and take steps to reduce water loss and make it more efficient, Hromadka said.